If gasoline gets into water, streams, lakes, even a city’s water supply can become contaminated and unfit to drink. 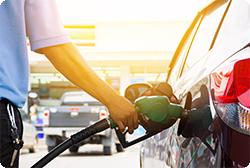 Your employees need to be aware that part of their job is a Class C Operator at a fueling station. In this online training module, employees will learn what a Class C Operator is, and how to recognize the hazards of petroleum. This module also covers, fire and fuel spill procedures, how to safely handle fuel deliveries and how to respond to tank monitor alarms. Class C Underground Storage Tank (UST) training is state mandated. Upon successful completion, each employee will receive a printable certification.